There’s no excuse for a boring Saturday in L.A. Each week, we reveal a fun activity to help you can make the most of your weekends. Check out all of our 52 Great Saturdays here. Not all crafting requires the help of Pinterest. 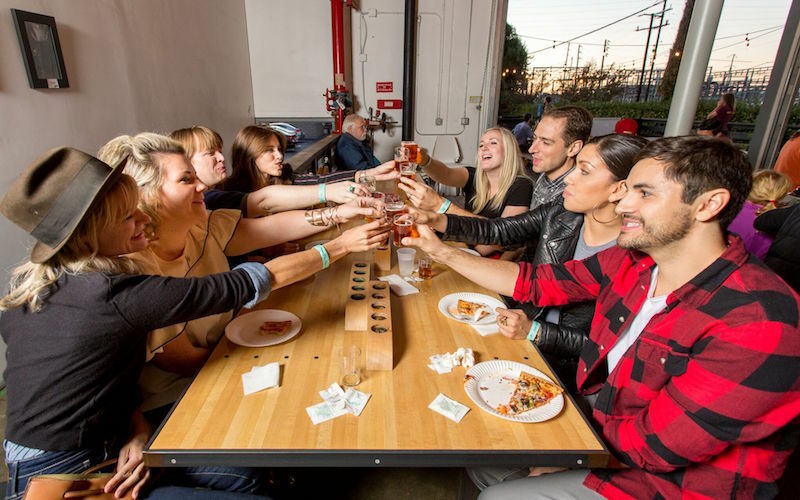 L.A. Beer Hop coordinates tours of the city’s craft beer scene, carting thirsty Angelenos to a selection of three local breweries over five hours in the South Bay, East and Central L.A., or Long Beach. The $69 buy-in pays for an expert guide, transportation, a beer flight at each stop (generally a quartet of five-ounce pours), and a peek into the brewing process. Itineraries vary, but with destinations that include Three Weavers, Golden Road Brewing, and Monkish, it’s hard to go wrong. Next articlePhotographer Catherine Opie’s First Film Is an Avant-Garde Meditation on L.A.